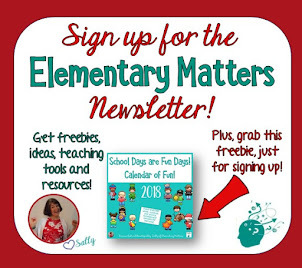 Elementary Matters: Myers-Briggs Part 4: How Do You Make Decisions? 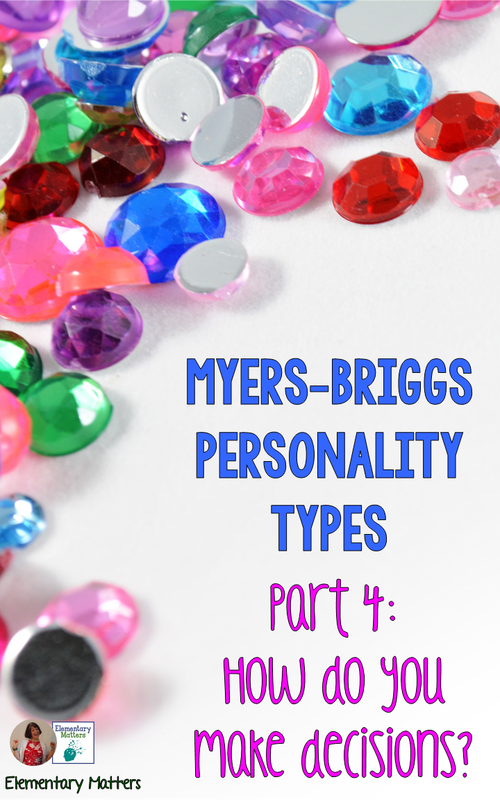 It's time for another installment of my series on the Myers-Briggs Personality Types. Today we'll discuss how people make their decisions. Thinking people make decisions based on fact. They are logical, objective, and driven by thought. They do the "right thing" whether or not it is liked. They have been known to enjoy a debate. Thinking types are sometimes seen as uncaring or indifferent. Feeling people make decisions based on their hearts. They care about how people feel, and want to keep people happy. They are passionate and driven by emotion. They avoid conflict. Feeling types are sometimes seen as too idealistic or too sensitive. As I've mentioned on discussion of previous scales, all people have parts of both sides. Most decisions are made with a combination of both Thinking and Feeling characteristics. However, we all have a preference. Of the Thinkers, about 65% are men. Of the Feelers, 75% are women. 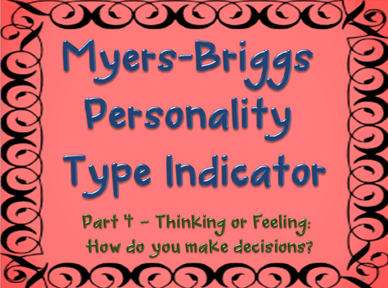 Myers-Briggs Part 2: How do you find your energy? 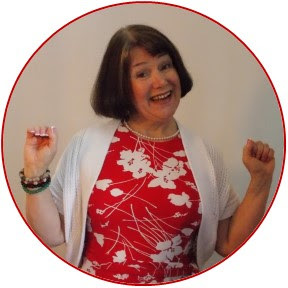 Myers-Briggs Part 3: How do you process information? 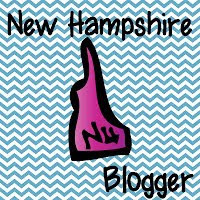 Myers-Briggs Part 5: How do you live your outer life?